In the ever-changing landscape of the construction industry, it is becoming increasingly difficult to keep on top of all the changes and innovations that the industry is delivering on a daily basis. 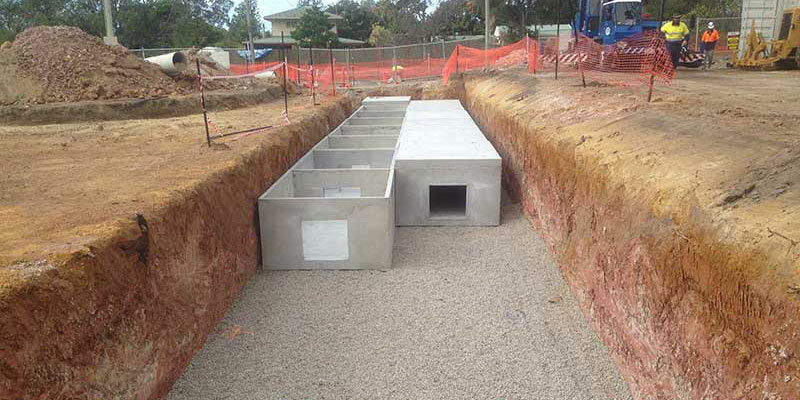 Particularly when it comes to essential site systems such as Onsite Stormwater Detention. In this area of construction, we have seen many leaps and bounds over the past 5 years, predominantly in relation to the use of a pre-cast model versus a traditional ‘block and slab’ built on site approach. All too often, the industry sees Project Managers or Contract Administrators assessing costs during the planning phase, but fail to take into account the real costs associated with a pre-cast system versus a block and slab. When building a detention system onsite, you will need to rely on a number of additional contractors to complete the work. This means you are left to deal with additional trucks, raw products and materials, additional safety inductions and much more time spent on safety plans. All of this additional work and management takes time and ultimately costs the developer money - most of which is not generally included in the building plan or cost comparisons however is a very important element that should be considered. Another main issue that is often forgotten about, is the safety issue surrounding an open excavation for long periods of time. Such holes can be susceptible to weather events or cave-ins, not to mention areas being cordoned off from access for safety reasons. All of these things can also lead to a greater chance of delay, more costs and more inefficiencies – especially when tanks are installed in often used driveways or main thoroughfares. The pre-cast method is also extremely versatile and can be used for all types of developments, from small scale right through to large commercial projects. Michael Spiller, a civil engineer and the Inventor of the Parthenon Detention System, operates in predominantly large scale environments with a focus on tanks over 150,000 litres. Mr. Spiller highlighted that the three main benefits for a pre-cast approach are safety, time efficiency and cost savings. ​We’d love to hear more about your experience in this area of the construction industry. Have you ever encountered any of the negatives mentioned above in your work on a project or development when using a block and slab method? 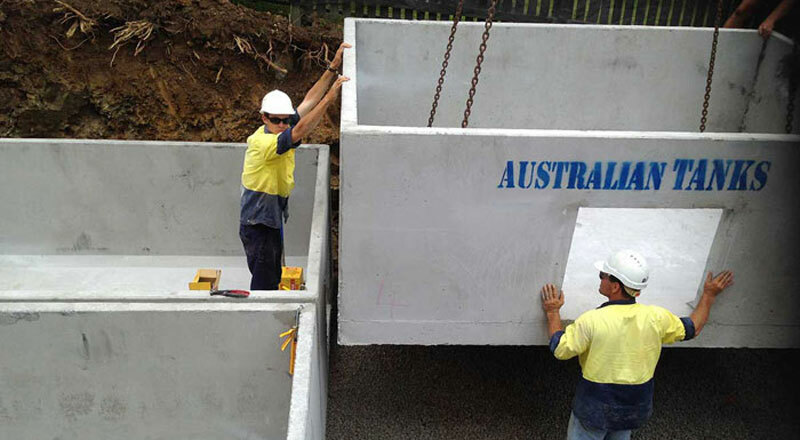 Or have you had a positive experience using a pre-cast onsite detention tank? We’d love to hear from you! Together, we can help effect positive change in the industry to ensure cost and time savings are made, and ensure safety is paramount on all sites.